← You need to tune up that car, Bring it in, I can do it for you. This is a Tintype image, when I brought the tones up I discovered that the cheek had been colored: Tintype, also melainotype and ferrotype, is a photograph made by creating a direct positive on a sheet of iron metal that is blackened by painting, lacquering or enamelling and is used as a support for a collodion photographic emulsion.Photographers usually worked outside at fairs, carnivals etc. 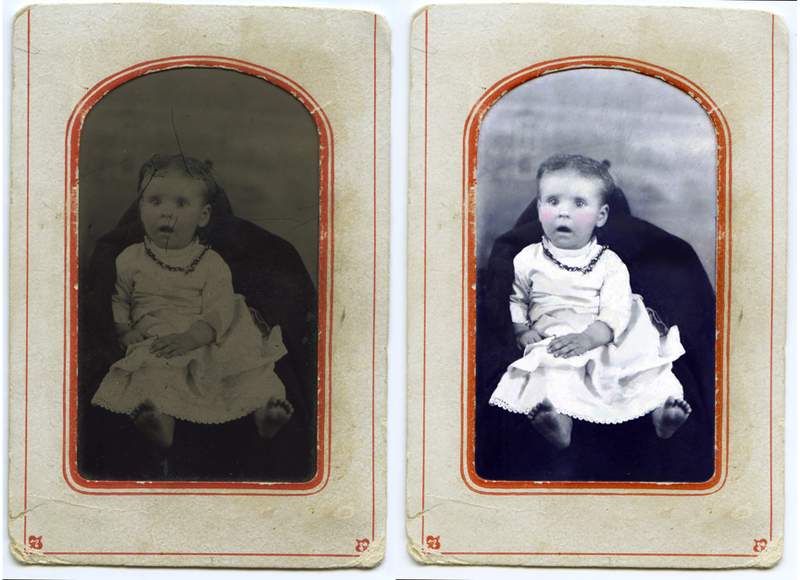 and as the support of the tintype (there is no actual tin used) is resilient and does not need drying, photographs can be produced only a few minutes after the picture is taken.An ambrotype uses the same process and methods on a sheet of glass that is mounted in a case with a black backing so the underexposed negative image appears as a positive. Tintypes did not need mounting in a case and were not as delicate as photographs that used glass for the support. This entry was posted in tintype image. Bookmark the permalink.